The sixth mass extinction—the one that seven billion humans are doing their darnedest to trigger at this very moment—is shaping up to be like nothing our planet has ever seen. 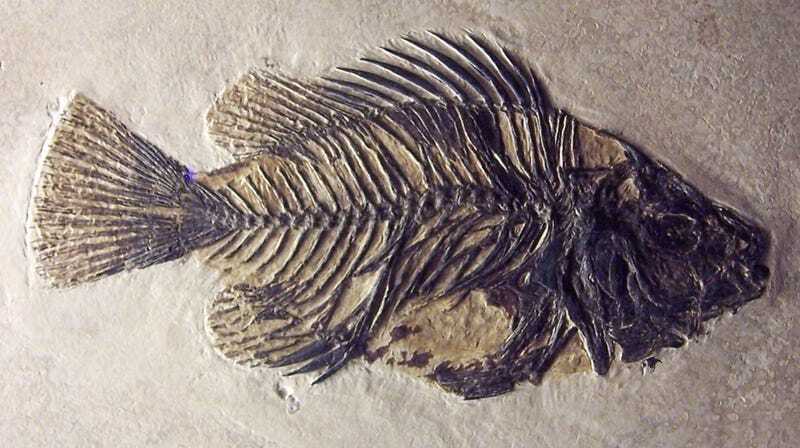 That’s the conclusion of a sweeping new analysis, which compared marine fossil records from Earth’s five previous mass extinction events to what’s happening in the oceans right now. Instead, the dominant threat is people. It’s the nets, harpoons, and trawlers that are systematically emptying the oceans of fish and other marine life forms. Whereas the mass extinctions of the past tended to target organisms in certain environments, the sixth mass extinction is poised to hit the biggest animals the hardest. And that could have have profound implications for how our planet’s future unfolds. A paleontologist by training, Payne and his research group started compiling data on modern marine organisms several years back, in order to study how body size and ecological traits have changed over evolutionary time. Payne, who has studied the End Permian extinction event that wiped out more than 95 percent of all marine species 250 million years ago, soon realized that his dataset—which included living and extinct members of nearly 2500 marine genera—could serve another purpose. So that’s exactly what the researchers did. By comparing the extinction threat faced by modern marine genera (as indicated by their official conservation status) with their ancestral counterparts, Payne and his colleagues discovered that modern extinction threat is more strongly associated with body size. Larger animals face a greater risk of disappearing than smaller animals. In past mass extinction events, body size didn’t matter that much. Instead, it was an organism’s habitat that dictated its fate. Animals that lived in the open ocean, or pelagic zone, went extinct at a higher rate than benthic creatures living on the seafloor. This difference in “extinction selectivity” can be explained by different drivers. During the End Permian, changes in ocean chemistry triggered by microbes, volcanoes, or some combination of the two are thought to have created a toxic environment for most marine life. At the end of the Cretaceous period, an enormous asteroid impact followed by supervolcano eruptions sent plumes of dust into the sky, choking out sunlight and cutting off the energy supply at the bottom of the food chain. In both cases, organisms that lived in more isolated, sheltered environments away from the ocean’s surface fared better. Today, the dominant driver of marine extinction is people, and people aren’t terribly selective about which environments they pluck animals from. We go for the biggest game, fishing down the food web and removing top predators. Within species, too, we tend to hunt the largest individuals, which is why North Atlantic cod and Chesapeake oysters were historically much larger. “In a sense, we’re driving evolution [toward smaller individuals],” Payne said. There are a few big caveats to the analysis. For the sake of comparison, Payne and his co-authors only analyzed marine genera that have fossil counterparts, which means certain soft-bodied organisms that don’t preserve well (like octopods) were excluded. What’s more, they only looked at organisms whose extinction risk has been assessed by the International Union for the Conservation of Nature (IUCN). That creates a rather serious bias toward big, charismatic groups—fish, sea turtles, marine mammals, and the like. There are countless species of marine invertebrates that we simply don’t have enough data on to do a proper threat assessment. Perhaps most significantly, the study excluded corals, which are currently in the midst of a catastrophic, global die-off. As habitat for roughly a quarter of all marine species, the loss of coral reefs due to global warming and ocean acidification would be a major blow to the health of the oceans overall. Even considering the omissions, the pattern the authors uncovered implies that the trajectory of the sixth mass extinction could be unique. The loss of large animals tends to cause what ecologists call a “tropic cascade,” basically, a ripple effect down the food chain. Larger organisms also play an outsized role in global nutrient cycling—whale poop fertilizes the oceans with iron, for instance, while salmon migrations bring nitrogen and phosphorus upstream and even onto the land. There is, however, a bright spot: things haven’t gotten too terrible yet. In Payne’s dataset, there is only one genus that has actually gone extinct in the past 500 years. While more species have gone extinct, and some genera are too poorly studied to be sure, we’re at best on the precipice of a sixth mass extinction. We can still turn this sinking ship around. This article has been updated to include comments from Dr. Mark Eakin.